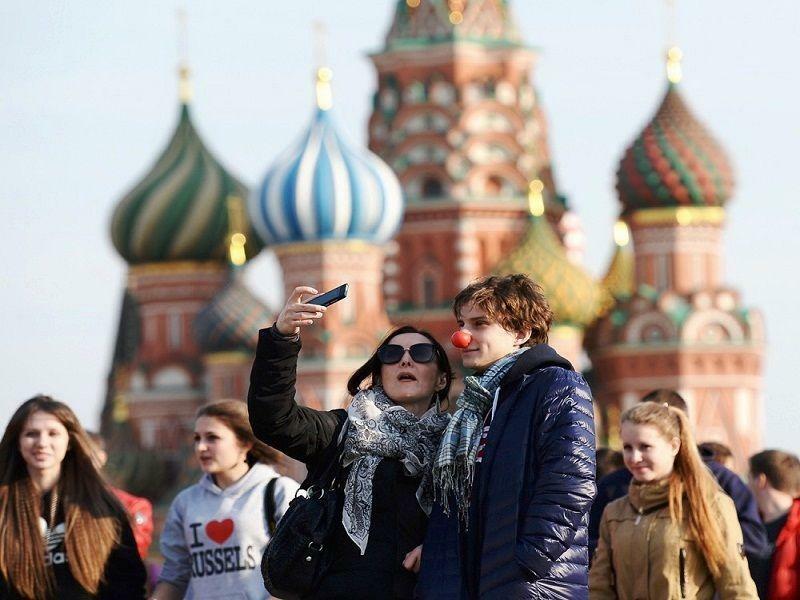 Moscow and Saint Petersburg kept the status of most popular Russian cities among foreign tourists, RIA Novosti reported. In addition to Moscow and the northern capital, foreigners most often travelled to Novosibirsk, Yekaterinburg and Krasnodar. Moreover, experts from the portal Aviasales noted an increase in the cost of air tickets in several directions. So, the flight to Novosibirsk went up by 75 percent, to Krasnodar - by 63 percent, to Moscow - by 55 percent, and to Saint Petersburg only by 7 percent. Additionally, Azerbaijani tourists began to choose the Russian city of Zheleznovodsk more often for rest and treatment. Regarding neighboring countries, absolute record belongs to Azerbaijan, since 1,500 tourists visited this Russian city during the holidays in the past year. It is noted that travelers from Azerbaijan, Turkey, Israel, Kazakhstan and Armenia became the most frequent guests of Russia. Also recorded ticket purchases by tourists from exotic countries such as Brazil, Bangladesh, Cuba and Ecuador. Speaking about other favourite destinations of Azerbaijanis, it’s vital to note Turkey, because as many as 50,500 tourists from Azerbaijan visited Turkey in February 2019, which is 4.65 percent more compared to the same period in 2018. Tourists from Azerbaijan mainly visit the tourist provinces of Antalya, Mugla and in particular Istanbul and Ankara. Azerbaijani tourists often travel to Turkey for vacation in July and August. Turkey which provides high-quality and inexpensive vacation for many international tourists has become one of the most favorite destinations for many Azerbaijanis. Touching upon other countries, Azerbaijani people tend to visit Iran quite often. Taking into account that the number of Azerbaijani citizens who went abroad in January-February 2019 increased by 25.5 percent, reaching 731,600 people, 36.5 percent of them traveled to Iran. It should be noted that Azerbaijan is also popular and highly demanded destination, occupying the 39th place among 148 countries in terms of global competitiveness in tourism. The successful holding of such great events has turned Azerbaijan into a country recognizable by everyone in the world, and a country that many foreigners wish to visit as soon as possible. Moreover, simplification of visa regime also plays a major role in the development of tourism in Azerbaijan. Currently, citizens of a number of countries get visas right at the Azerbaijani airports, while other tourists can visit the country by getting online tourist visas. In 2018, 2,849,600 tourists from 196 countries arrived in Azerbaijan, showing a 5.7 percent increase compared to 2017. Further, touching upon the recent statistics, 364,200 foreigners and stateless persons from 152 countries of the world arrived in Azerbaijan in January-February of this year, which is 3.3 percent more compared to the same period last year, Trend reports referring to The Statistical Committee of the Republic of Azerbaijan.